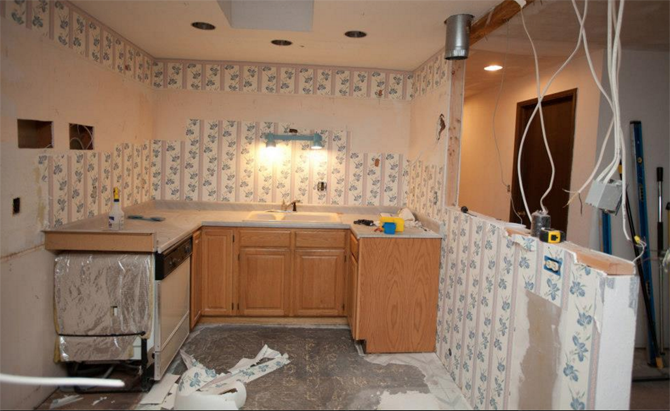 BlogHome » Blog » Real Estate 101: Should I remodel before I sell? Should I remodel before I sell? I’ll cut to the chase: Usually, the answer is no. But there are exceptions. When it comes to prepping your house to sell, it’s important to consider your investment. If you’re getting ready to move on, you want to limit the amount of money spent on your home that you can’t get back in resale. Save that money for your down payment on your next house instead! Data from Remodeling Magazine shows that the biggest ROI for a remodel project in the Portland market, specifically, is a minor kitchen remodel. That means refacing your original kitchen cabinets with new doors and hardware, replacing the appliances, floors and countertops, installing a new mid-priced sink and faucet, and re-painting and replacing the backsplash. If you stick to that scope, you should be able to get your money back when the house sells. I’ve got clients who amaze me with their handy skills. If you possess those skills, and have the time, then you can probably recoup your costs on a lot of smaller projects. Just focus on high-impact ones and know when to quit. Replacing all older windows with vinyl windows, which is a labor-intensive process when using a professional contractor, or remodeling a small bathroom. Painting can also go a long way, and doesn’t take specialized skills — stick to neutral palettes for the biggest impact upon resale. If you have questions about whether a specific project could increase your resale value, I’m always happy to weigh in. Happy remodeling! What’s the deal with bidding wars? How do I buy and sell at the same time? How do I get rid of my PMI? How do I stage my house to sell? What’s the deal with commissions? and how much are they?